Tired of owning a no-good timeshare? Do you need more information on timeshare cancellation but can’t seem to figure out where to start? Read on to learn more about how you get rid of a timeshare with our timeshare exit team. Buying a timeshare is one of the most simple financial transactions you can make, especially at their high price point. All it takes is a 90-minute presentation and a signature on the dotted line. If you finance, there’s a credit check, but they do their best to get you in and out fast before you can change your mind. Think about it, when you buy a car it takes an entire day usually, and there is ample opportunity to change your mind and leave. When you buy a thirty thousand dollar timeshare, they try to get you to agree to the deal as quickly as possible. The gloss over your mandatory timeshare cancellation period and probably don’t fully explain your rights you. You may not have even read everything that you were signing. And then you left, the proud owner of a timeshare. At the beginning of your timeshare contract, you have a mandatory right of rescission period. This is a short period of time during which you can get out of your timeshare without paying any penalties. If you decide that you need to get a timeshare cancellation during this time, all you have to do is call the timeshare company, fill out a short form or letter, and you are released from your timeshare obligation. In many cases, the timeshare company is also legally required to refund your down payment or other money you put towards your timeshare. The rescission period on most timeshares varies by state and can last anywhere from three to fifteen days. If you realize you have made a mistake immediately, it is a good option to get rid of timeshare before you get in too deep. The only problem is that many people don’t realize within three weeks how bad their timeshare is going to be. They may think that it is a good investment or be looking forward to using it. 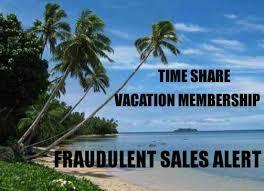 Also, some foreign timeshares may not offer a timeshare cancellation period at all. So, what happens if you need to get rid of a timeshare and you are outside of your timeshare cancellation period? Are you stuck? The timeshare company would sure like you to believe that you are just stuck with your rotten timeshare once your timeshare cancellation period is over. However, this is simply not true. If you need to get rid of a timeshare after the cancellation period is over, you do have options. Depending on the type of timeshare you own, and it’s current market value, you may be able to sell your timeshare to recoup some or all of your money. While it is possible, this is also a very rare scenario. Usually, timeshares depreciate in value significantly. Average new timeshares sell for about thirty grand while pre-owned timeshares generally go for 8 thousand. As you can see, this is a pretty significant financial loss. 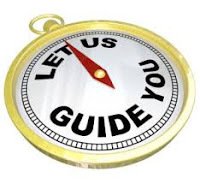 Instead, I recommend you call for one of our complimentary timeshare exit team reviews of your timeshare contract. We will look at the exact terms of your contract and give you a timeshare cancellation strategy. We will go over our comprehensive timeshare exit team cost and make sure that you have realistic expectations about the process. Then, once you decide that this is the right strategy for you, we will begin the cancellation process. We will deal with the timeshare company, and we will get rid of your timeshare. We offer a satisfaction guarantee on all of our timeshare exit services. This means that if we can’t get rid of timeshare, we don’t get paid. Call us today to learn more about our services and to get out of your timeshare contract!